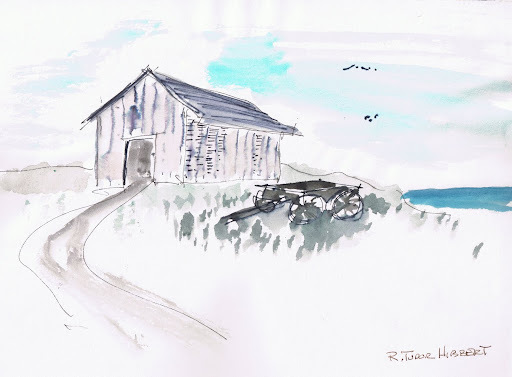 A simple watercolor of a barn and wagon. The lines have bled a little, but it's still nice. Undated.